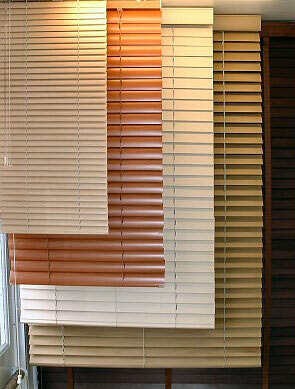 Plastic venetians are the most economical blinds. Originally designed specifically for kitchens and bathrooms they have now become a popular choice for all rooms. Sleek and stylish, the wood grain finishes are moisture resistant, flame retardant and easily wiped clean. Surprisingly, although our cheapest range of blinds, the mechanisms are exactly the same high spec as the top wood range venetians. For more information call our showroom today.